using electrolysis of gallium hydroxide. of liquid gallium wet your skin. Gallium was the first element that was discovered with a spectroscope but was not named after its color. 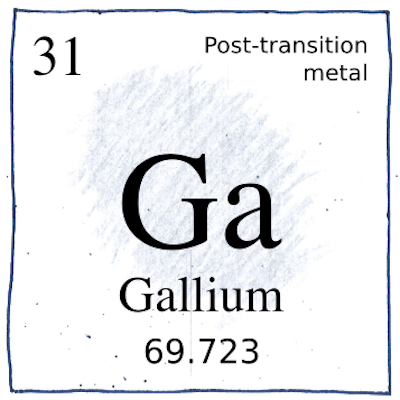 Although “gallus” is Latin for rooster (“le coq” in French), Lecoq declared that he named gallium after “Gallia,” the Latin name for Gaul (that is, France).